335 customers have given this product a 5-star rating. Of these, 315 customers have written no texts or given their feedback in another language. 205 customers have given this product a 4-star rating. 88 customers have given this product a 3-star rating. 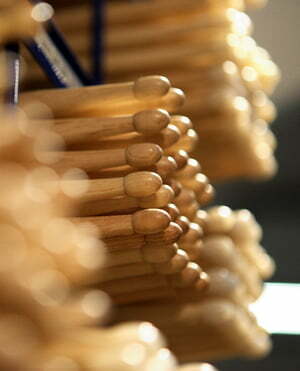 I find these perfect for my electronic drums. I personally really like the weight and feel of these much more than many others that I've tried. One minor negative: the Millenium logo wears off on them quite quickly due to sweat but that's just a cosmetic issue. As for the overall quality of the wood, I can't fault them. 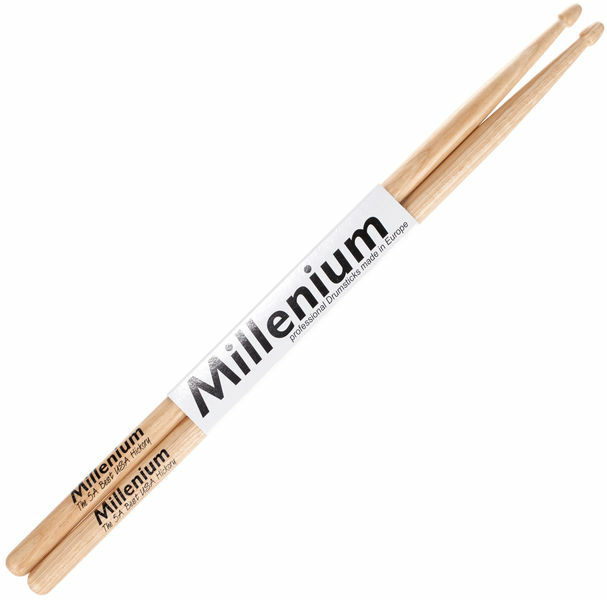 I wouldn't say they're the best sticks in the entire world but they are certainly worth every penny for the price and if you're trying to experiment with a stick size that suits you, you can't go wrong with these. Will be trying the 7A's next. EDIT: After trying several other brands I've found these to be quite slippy in comparison. They have a very smooth finish, but that could be a good thing for you. These are excellent value for money, easily as good as your Vaters or Vic Firths, just not as much to pay! Back when I used to play the acoustic drums I used to be a bit of a hard hitter, so being confident that I could hammer away and not have to worry too much about the cost of snapped sticks was really good news. ID: 147207 © 1996–2019 Thomann GmbH Thomann loves you, because you rock!